Alex Ruano » WIP – Rocks! Someone once told me: “Overspecialization can be kind of…..meh. You know, there’s a guy in Pixar, ILM or Weta just making rocks. I’m sure he is the best on his field in the entire world. But hey!, is there anything more boring than just making rocks?”. Well, luckily, I don’t pretend to be that guy (I couldn’t, even if I wanted). But I needed some rocks for a WIP I’m currently working on, and I just remembered that conversation. 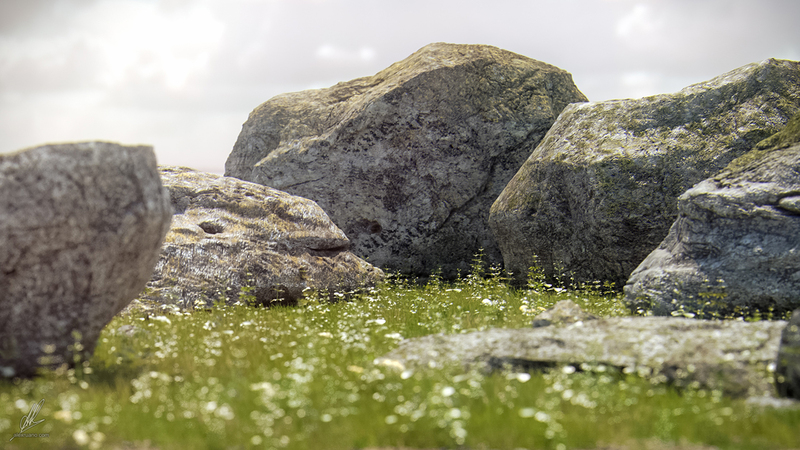 I’m not very good at modeling these kind of things, so I tried some scripts like Rock Generator, Rock Maker & Rock My World, and got some nice results, but not 100% satisfying. But I ended up finding some beautiful ZBrush models by Jason Neal. ZB is a software I have never used, and I think I will never get used to, no matter how much I try. 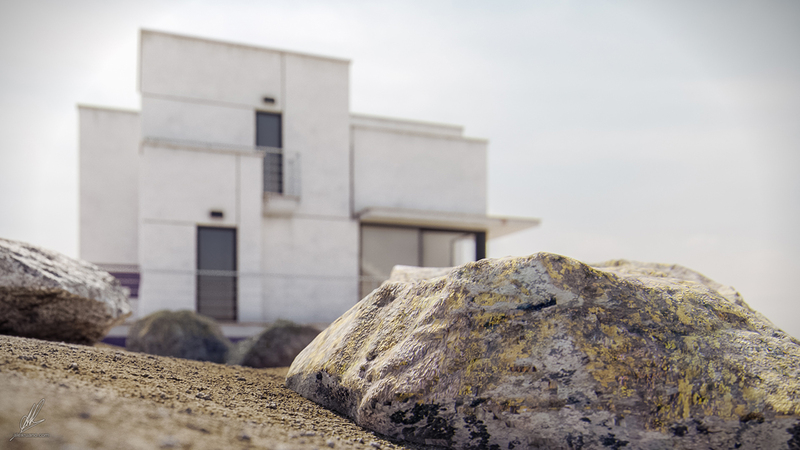 But I somehow managed to decimate those models, import them to 3dsmax and texture them (without even unwrapping, just using VRayBlendMaterials with several layers and masks). 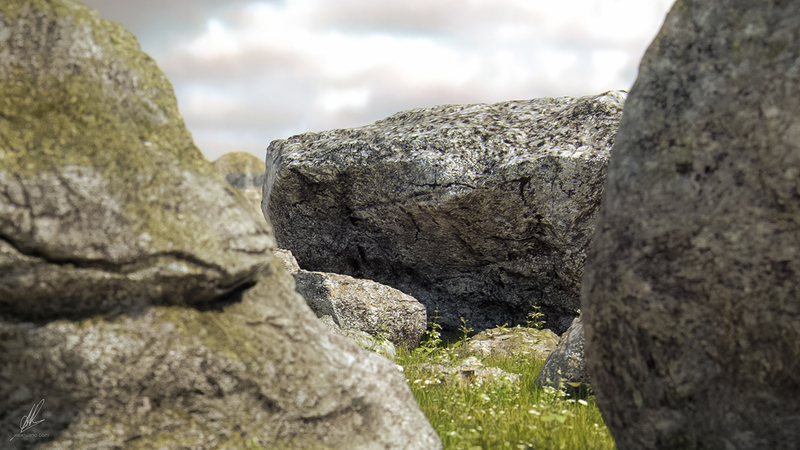 Here you have some test renders with a mix of all those rocks. In my head, my intention was to show them from a distance (not much detail needed, hence lowering polygons and not unwrapping them). But I’m surprised how good they look from such these close-ups. I hope they will look even better when I plant some more vegetation and trees.